TOP 10 THINGS TO THINK ABOUT BEFORE ORDERING YOUR PAINT BOOTH. 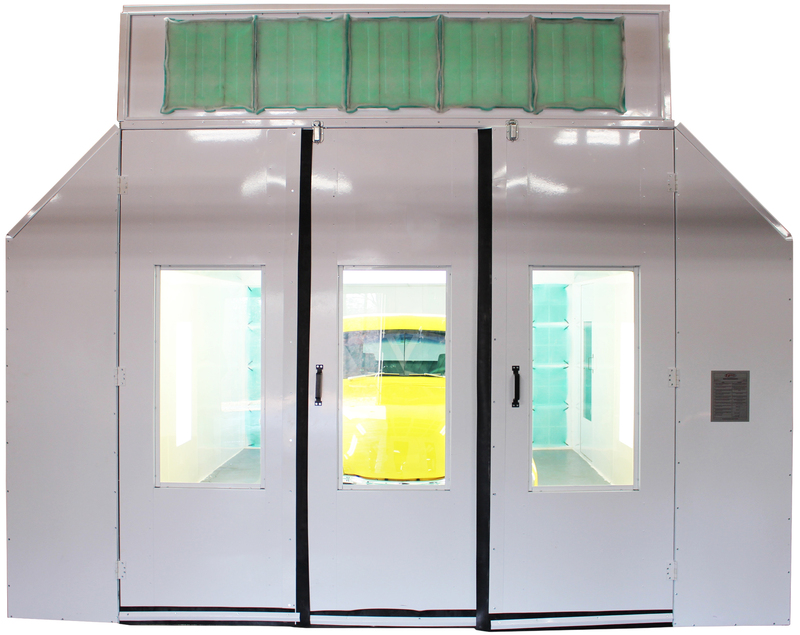 When looking to buy a paint booth, there are a lot of factors to consider. It may seem overwhelming, but we’re here to help! Here’s our top ten things to consider when buying a paint booth. Considering these things will help you to determine what booth is right for you and will save you a lot of money and heartache by considering them BEFORE you buy your booth. 1. What are the dimensions of the building? We need to know the dimensions of the space you plan to put the paint booth. How tall are the ceilings? 2. What type of booth you are interested in? We have different styles of paint booths. From open-faced booths to large and enclosed truck booths. We have different air flow styles as well, from cross flow and side-down draft or semi-down draft or down draft … if you have a type or style you’re looking for, be sure to let us know. If you don’t know what type or airflow style would work best for you, no problem… our sales folks can help you determine the best booth to meet your painting needs. 3. What phase and/or voltage run through your building? We need to know the kind of power you have so we can make sure that your paint booth and/or your air makeup unit is designed to work in conjunction with it. Did you know that the majority of the time you can contact your power company and they can give you this information if you are unsure? 4. Do you need ductwork? 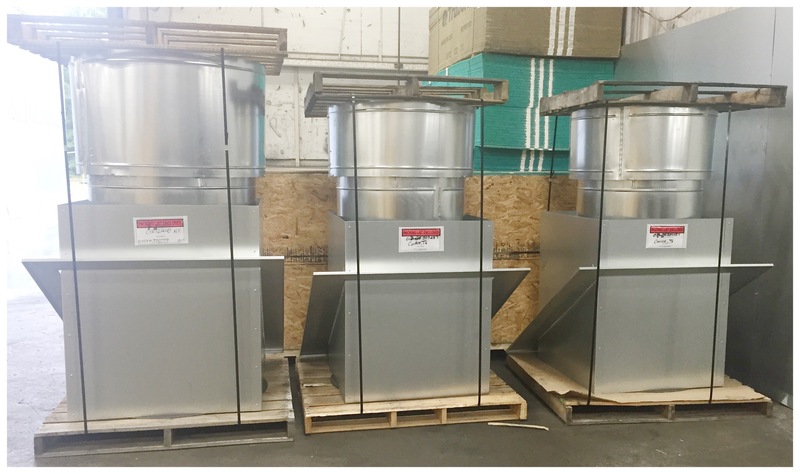 Do you know how much ductwork will you need? One of the reasons we need to know the height of your building is because we need to determine how much ductwork is needed from the top of your paint booth straight out of the roof, plus some! In most states it is required that there is 6’ of ductwork exhausting up from the roof. 5. Are you adding heat to your booth? There are several benefits to decide on a heated paint booth. Heat makes it a more comfortable environment in the winter, but that is not why the majority of our customers decide to add heat. Sometimes, there isn’t enough airflow in the business to provide for the booth. (Click here to see if that applies to you). When you have a Sure-Cure AMU, you are able to significantly increase your production. You are able to paint, cure and cool in less than an hour, making your new booth the hardest working part of your business! 6. Have you contacted your city to find out what is required in your city or in your state? It’s important that you know before you order your booth what is required from your city or in your state. Find out what permits you will need and if there are special requirements, like and ETL-listed booth that you have to comply with. For example, if you have to have an ETL-listed booth, but you order a non-ETL booth, you will either have to order a new booth (that we offer already with ETL) or you will have to pay big bucks to have someone come and certify it. To be absolutely safe, you can always request that a fire marshal come and do a walk-through to advise you what you need to consider prior to ordering your booth. 7. Does your state require you to have fire suppression? It is extremely important to know the answer to this question so you can properly plan. Call your local authorities and get informed. We offer Fire Suppression systems from PyroChem or you may be able to provide a sprinkler system. 8. Do you want your booth powered-coated booth? Not only will your booth be a lot brighter, but it will also stand out and have a professional look to it. See how our booths are powder-coated. 9. Get everything you need in one quick swoop. We offer light bulbs for all of the booth’s light fixtures, as well as the electrical wiring kits that your electrician will need to wire your booth. Get everything ordered and shipped to you to setup and start using your booth. Easily add a supply of intake or exhaust filters to your order so that when they need to be changed, you have them on hand. 10. What other features can I add to my booth? 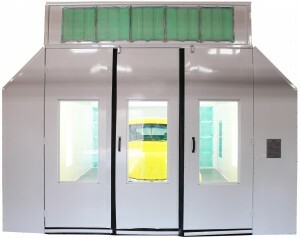 Is there something you want on your paint booth like drive-thru doors, a connected mixing booth or extra lights? One thing that Standard Tools and Equipment does well is our ability to produce custom paint booths. Our engineers can design a booth to fit your needs. If you want your booth taller, wider or brighter… just let us have the opportunity to design your booth for you. We can help you out! It’s best to give our sales line a ring and talk through your needs with one of our customer care reps. They would be happy to let you know what we have to offer!